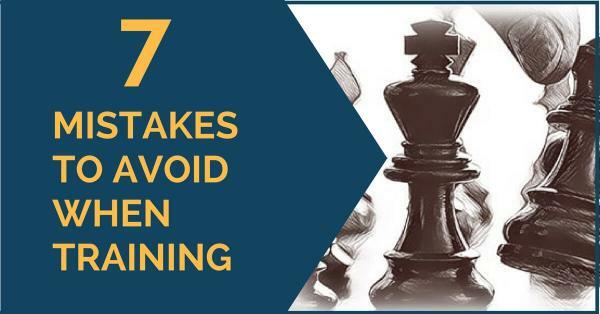 7 Mistakes to Avoid When Training | Free chess downloads and training sites. Study material and suggestions. Online shopping. ← 5 Capablanca Positions That You Must Know : middle game positions chosen for their instructive content. This brings a feeling of depression and it sometimes leads to quitting the usual training plan or the idea of making progress in chess. You should review your training schedule, look for any mistakes you are making or just keep training harder; the results will most certainly show. In our previous article you can find advice on how to train and what to include in your daily chess routine; today we are going to point out some of the most common mistakes that may show up so you can correct them if that is the case.